I am a newbie here, but do have a few miles on my clock and aim to walk the full GR10 Pyrenean Way this year. If interested, you can see a few vids of my walks and kayaking on Youtube, my site is minackermovies. Hello to gunwharfman, who recommended me here and has already completed said walk, thank you for your reply on Steve Cracknell's site. I have a few questions for you and any info would be helpful please. I see you started 17 July. I was thinking a little later, but wonder how you got on with holiday crowds at that time and temperatures? How was doing it over 50 days? Did you have rest days? Did you do any variations of route? eg the Cirque and Canigou? Did you camp high at all? I caught a plane Gatwick to Bordeuax, then train to Hendaye (if possible fly to Biaritz, its nearer to Hendaye) and camped the night on a site by the beach. I used Sitytrail for the whole route, excellent! The route to St Jean Pied du Port was a bit strenous, a couple of high routes to get over, quite a few people walked my way as well. En route, big shopping centre, miles from anywhere at Col d'lbardin, really took me by suprise!Then you will cross La Rhune railway line, onto Sare and Ainhoa, good campsites at both. Brilliant and cheap campsite at St Etienne de Baigorry. By the time you get to St Jean you will be well tuned in to everyday hiking, it took me 6 days to get there and by now I felt lean and strong! At this point you I'm sure will notice, like me, that most people will now walk south on the Camino into Spain, whilst a few people like me and you will keep on the GR10. From now on you will notice that there are not many people around! You will also notice that villages are further apart and that you are now hiking really in big open spaces. Look out for Cafe Pedro, great coffee and Basque Tart! I stopped at Larrau as I found myself with a hernia! Walked on to Lescun over three days, big country, big sky, lovely villages and thr mountains seem to get bigger every day. Eventually, days later you will get to Luz St Sauveur. you now have a choice. Go to Gavarnie and then to St Lary Soulan, or go from Luz St Sauveur directly to St Lary Soulan. I didn't do the loop to Gavarnie, I reget that now. Please look up the other GR10 route description on the site, an entry just posted to mit. Really good and accurate. I did have rest days, about one day per week, but by now I was really feeling exhausted, but in a good way. I plodded on and on, the Arieage area was lovely but I didn't see a soul for three days! It them became what felt like a never ending route. For me the first feeling of getting near the end was when I walked under the motorway from France to Spain, a few days later and my feet were in the Mediterranean. Its a really long way, I was lucky, at that time I was in the mood and up for it, the challenge in many ways was nothing like I had ever done before or would do again. On the second to last day SityTrail camne into its own. I had to hike through thick fog for about 10 km, lost the route more than once so just let my app guide me. As I verred from the path, it bleeped, when I was back on the path it bleeped again, a real lifesaver! I camped one night in Banyuls Sur Mere and then caught a bus to Perpignan. It cost me 1 euro for about a 40 mile bus ride, one of the financial benefits of being old! I just turned up at the train station and caught the next TVG, about 85 euros, to Paris. My first time on one, travelled at 305km an hour for what seem more than 2 hours. Stayed in Paris one night (slept on a seat in the waiting area of Charles De Gaulle airport) then caught a TVG to Calais, (about 45 Euros) then boat, (£25) then train (£15.50) from Dover to Portsmouth. I hesitated for about 4 years before I had the nerve to hike this route, so glad I did it! Hi, thanks for that. Yes, Glyndwrs Way seems a less walked UK route and I only encountered a Dof E overnight group and a few day walkers when outside of towns. Sounds like you had quite an adventure on the GR10, presumably the hernia didn't bother you too much? I wondered about the continual up and down being a bit daunting. I use Salomon boots, very light, discovered last year they fit my feet perfectly and 'roll' underfoot like a dream. I always wear 2 pairs of socks, merino under mid hiking socks, they wick well and take all the rub to avoid blisters. I thought as you say that probably the train is the most flexible at the end, although takes a bit longer. Why not the chunnel train? I estimated about a day a week to rest, so I'm glad you confirmed that. Sitytrail sounds great, but I already invested in the FFRP guides (£70!!! Will sell later), have copied and enlarged all the maps to take on paper, which I prefer to anticipate the route. I also have a GPS + open topomap with contours, which is ok for the GPS only and can zoom in for streets if needed. Did you wild camp at all, or stay near huts and on sites? Any particularly wonderful places to recommend? I had a scan through the other posts, some inspirational stuff there. Looking forward to it. Doing Beacons Way as a warm up in Spring, then an easier option of C to C (luggage carried and BnB). Can't offer you any advice on the GR10 (although I have walked and climbed in the Pyrenees), but welcome to the forum anyway. My hernia was an adventure in itself. I first noticed it at Larrau, I then had to walk for another three days now knowing that I had a hernia! At Lescun, the young lady behind the counter on the campsite, who spoke English (I told her my tale of woe) phoned around and found me a medical warehouse at Oleron, about 50kms away. I hitchhiked there the next morning and bought a truss, put it on and by the time I got back to my tent, now feeling 'secure,' I decided to carry on to the end of the walk. Some of the ups were very daunting, not dangerous, just a long, long plod! At times exhausting, especially when very hot. I soon developed my own style and pace to get to the top, 20 to 30 steps, breather, 20 to 30 steps, breather, etc. I'm not so bad on the downwards bits. The landscape changed quite a bit as well, that was noticable. Be warned though, most mornings are a climb up, most afternoons are down. The maps you have bought, yes I wish I had bought them as well, but the red/white paint route flashes all the way are so well organised I think I could have done the whole route without looking at a map. I did though, habit! I wild camped a lot, one morning in particular 5 domesticated pigs tried to get in my tent with me. I hike but do not cook en route, I always want to find a bar or restaurant at the end of the day, most times I'm lucky but not always. I never turn down the opportunity to stay on a site when I reach a village, most were very good, none that I can think of were too pricey. I tend to look for municipal sites, tend to be a lot cheaper. Stayed in a couple of huts, one I remember in particular, mice everywhere! So many places to see and experience, the bridge over the Gorges d'Holzarte, Lescun, the Gorges d'Enfer, 'La Mature' route just cut into the mountain is very impressive, the Lac Geptau, beautiful setting with a refuge as well which is great for a meal. For me just getting to Caterers was impressive, the first real town since St Jean. The best memory of all for me, was that first glimpse of the Mediterranean. It still took me hours to arrive and when I did I ordered the biggest beer in town! They will bark at you to warn you away from the flock but since you are not a bear they will leave you alone if you skirt the flock. You are not at all likely to see a bear so don't worry about that. 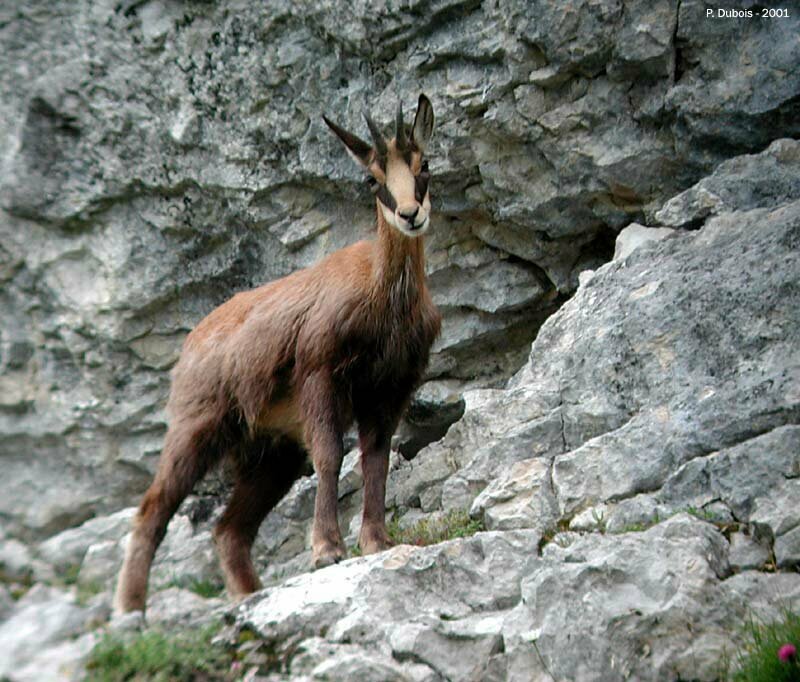 There are plenty of deer and marmots and if you are lucky you may see an Isard. I had a run in with one of those dogs. I walked towards a flock of sheep and suddenly a Patous dog came snarling, barking and slobbering at me! I stopped and walked backwards. He stoped and then he walked away. Scared the pants off me! Scared the pants off me!